A passenger car carrying more than a dozen passengers has become a freight car on Highway 2, causing many people to suffer. Traffic accident occurred on highway 2. Photo: Nguyen Huyen. 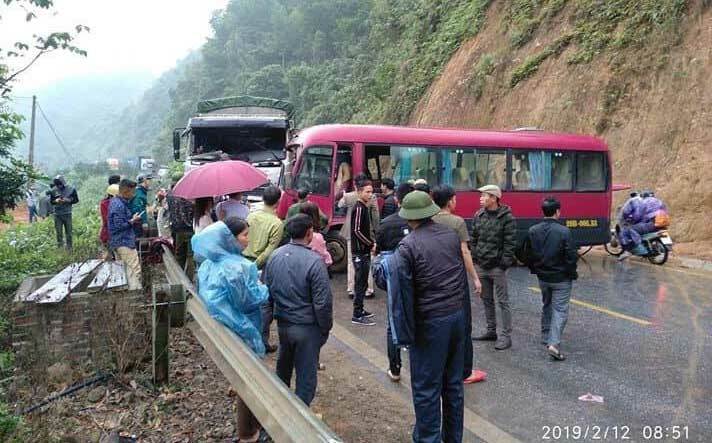 The accident occurred at 7:30, February 12, on road 2, in the section around Yen Lam village, Ham Yen district, Tuyen Quang province. According to people, at that time, passenger cars were circulating on Highway 2, from Ha Giang to Ham Yen. When the car reached km63, there was a strong crash with the truck. The heavy impact caused the head of cars and trucks to disintegrate. Red cars turned on the highway, many passengers were present on the car and called for help. 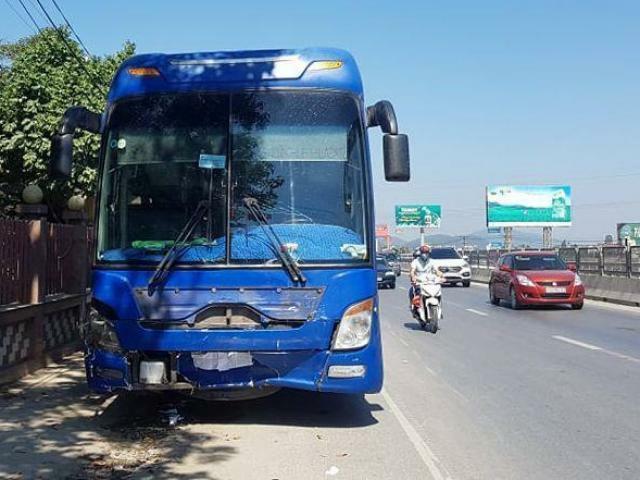 Mr. Sam Van Dinh, Chairman of the People's Committee of Yen Lam, Ham Yen County, Tuyen Quang province, said the accident caused 3 injured people to be hospitalized for emergencies. One person was seriously injured in her and she broke her leg. 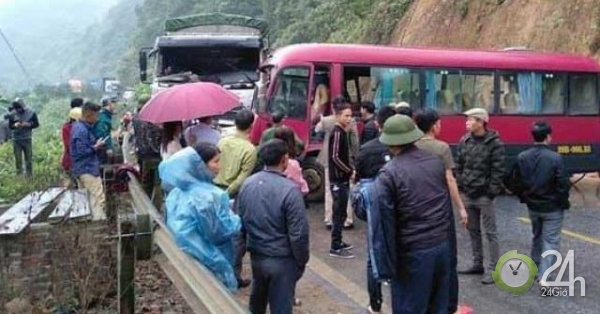 Immediately after the incident, there was a functional force in place, which brought the victims into the Ham Yen District emergency room and diverted the traffic. According to Mr. Dinh, at the time of the accident, there were over a dozen passengers on the bus. The area of ​​two cars is in distress, the road section has bends, is slippery enough. Initially, the authorities state that passenger cars hit the alleyways and fight trucks. The authorities are currently investigating and explaining the cause of the accident.